Did you hear it go? The briefest of moments has past – now mingled in with yesterday. It slipped beyond possibility and hope and lies within memories and undone business. I never hear it leave yet I know when it is missed. Like the sunset, when I briefly turn away…gone. So once again I will reach ahead and plan to grab some moments before me, pull them closer and not waste them by looking away. In order to “catch the moment” I must embrace it with hope, desire and a willingness to see it through, even if it is not to my original intent or liking. I remind myself that moments are like clay, they can be softened and molded and created. The artistry is in the inspiration. The inspiration is in the knowledge. The knowledge is in the soul. The masterpiece is made when I let my soul create and not my ego. 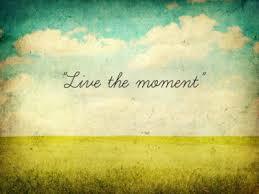 It is then that I can step back and enjoy the moment and call it mine. It is hard and takes ongoing practice to live in the present. Negativity and pessimism tend to weigh down and drag out my thoughts. I have come to liken them to unwelcome visitors, I try to move them along without much ado. There are those days that they repeatedly knock at my door. So as I sit here and tap away…so do the moments before me. Yet these writing moments tend to float and drift rather than briskly rush into the past. They linger with just a hint of possibility. They give me reassurance that tomorrow is just a moment away…filled with unending opportunities to open my present to myself. Now I ask you, do you have a moment to spare?